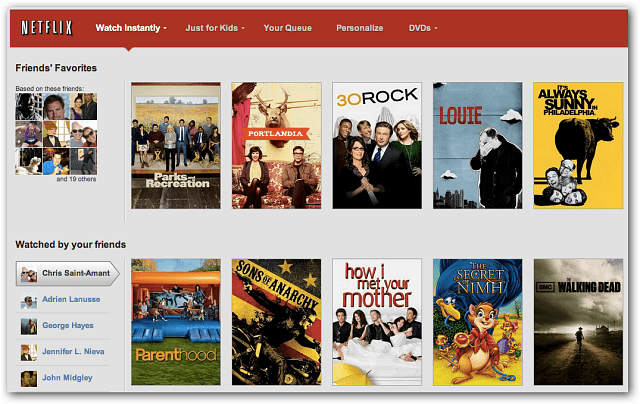 Netflix announced it’s rolling out Facebook social integration for U.S. subscribers. If you’d like to share what you’re watching, and see what your friends are watching, here’s how to enable it. 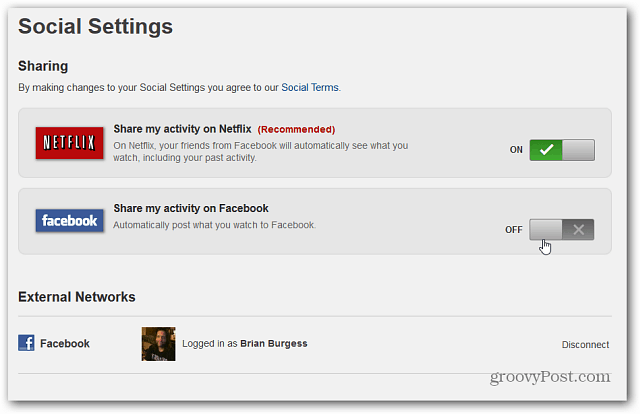 Last week Netflix announced it was rolling out Facebook social integration for U.S. subscribers. If you’d like to share what you’re watching and see what your friends are watching, here’s how to enable it. Netflix began rolling out the feature to subscribers last week, and you should have the feature by now. Log in to your Netflix account and scroll down the lists of shows, and you should see the following Share with Facebook message. If you don’t see it, log out and back in to your account. After clicking it, you’ll see two new rows that list what your Facebook friends favorites and what they’ve recent watched. By default, the sharing only happens on Netflix. 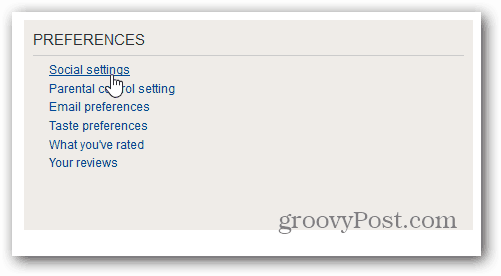 To change the sharing settings, click on Your Account, and under Preferences, click Social Settings. There you can turn off sharing. And the other option will automatically post what you watch on your Facebook timeline – similar to sharing what you listen to on Spotify or MOG.